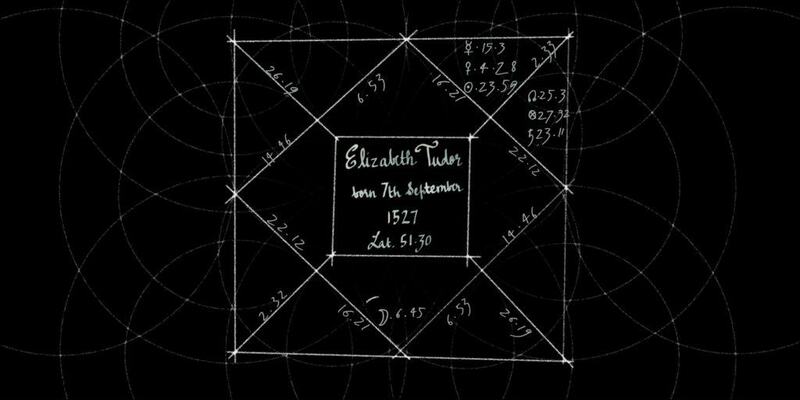 In the age before science and magic parted company, Doctor John Dee was the ultimate Renaissance Man: astrologer, alchemist, mathematician and spy, he coined the term ‘British Empire’ and equipped the Elizabethan Court with the knowledge to make it manifest. The inspiration for both Marlowe’s Faust and Shakespeare’s Prospero, Dee studied the Heavens, he spoke with Archangels, and he paid a bitter personal price. 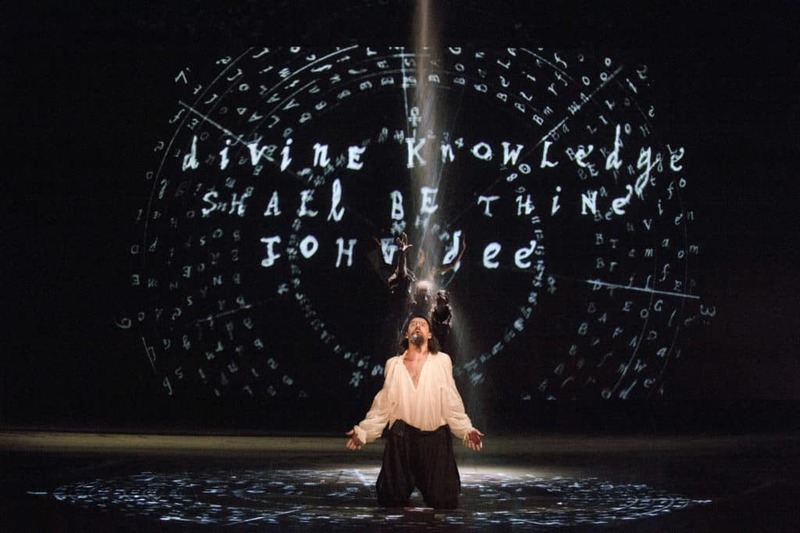 Dr Dee, composed by Damon Albarn and directed by Rufus Norris, explores ritual and symbolism in this country, past and present, using John Dee – one of England’s greatest but largely forgotten men – as catalyst. 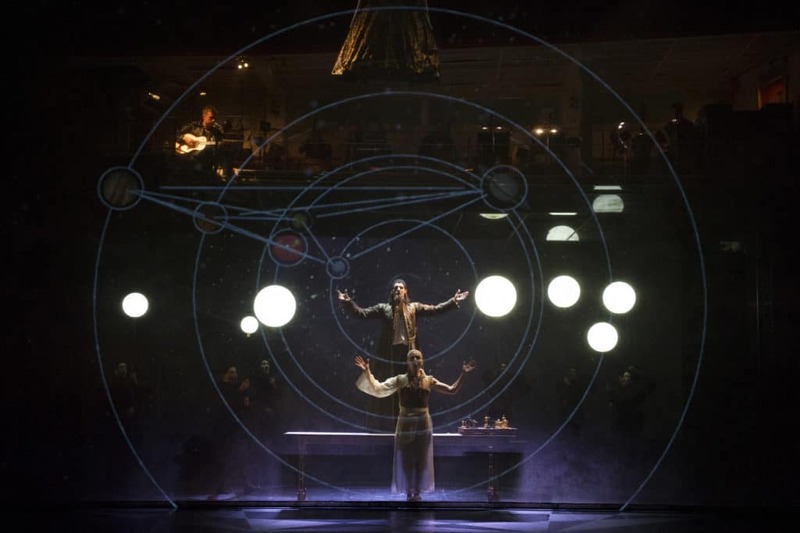 59 Productions provided projection design for this production, exploring the spiraling and strange diagrams that Dee produced, and opening up a window into this most unique of minds. …Staged with such dazzlingly fluid and arresting imagery – wonderful designs by Paul Atkinson and video by Lysander Ashton.. it’s impossible to resist its flamboyant theatricality. …It’s all about the spectacle, on the stage and above it. Albarn himself leads the band from a floating platform, occasionally singing down like a troubadour deity. Dee, by contrast, is often a silent participant in the gorgeous pageantry below. And it is gorgeous. Dee’s youthful diligence is demonstrated in a scene where books fan out to envelop and nurture him. Beautiful and clever video work, courtesy of Lysander Ashton, accompanies his progress. Norris’ staging achieves total symbiosis with the music’s aching simplicity and just as the music marries honesty to deception so too does the staging, its wit and invention turning tricks into inspirational imagery. Dee’s quest for knowledge, for a way to reconcile and natural and supernatural, takes the fanned-out leaves of books and elaborates the idea into a fantastical leitmotif for the entire show wherein the changing tableaux are revealed from behind and from within these scrolls of parchment. 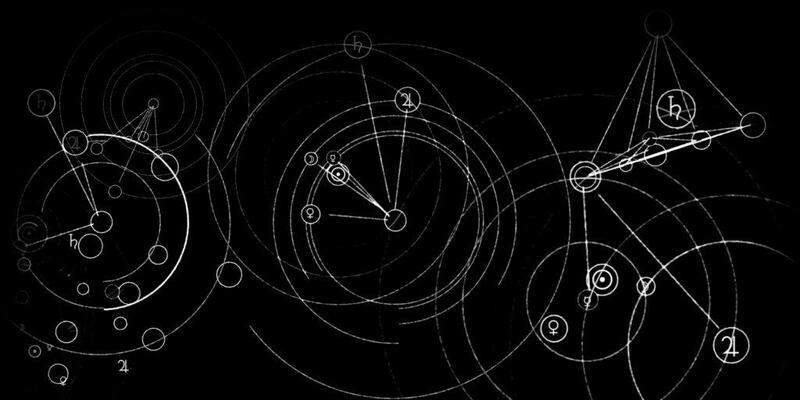 Video design (Lysander Ashton of 59 Productions) works its magic, too, with Dee’s mathematical equations proliferating across every surface. And as Queen Elizabeth I assumes the ascendancy to lofty heights England parties (how topical) beneath the flowing folds of her skirts. This is what the theatre of the imagination is all about – the value is in the invention not the expenditure.